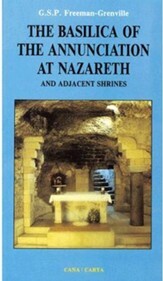 In Christ, the Christian, and the Church, E. L. Mascall shows how the incarnation of the Son of God is the unifying principle of the life and thought of both the individual Christian and the Church through subjects such as: eschatology, ecclesiology, pneumatology, ascetical and mystical theology, and more. 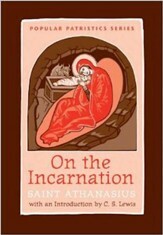 Instead of reinforcing the view that Christ's descent to earth was anthropocentric, Mascall explains that it was in fact theocentric; man is woven "into the godhead" instead of "the godhead into flesh," and our actions as Christians are actions of Christ himself because of the unifying act of baptism. 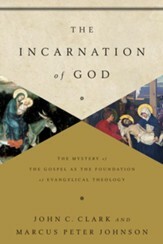 Inform your theology by delving into E. L. Mascall's discussion about the incarnation of the Son of God and its crucial connection to the individual and the church. "Indeed what has chiefly convinced me of the supreme significance of the doctrine of the permanence of Christ's manhood as the central principle of Christian theology has been the extent to which that doctrine has made it possible to get beneath--or should one rather say 'above'?--the either-or level, and to see the two contrasted elements as mutually involved in a synthesis in which one can say 'both-and.'" 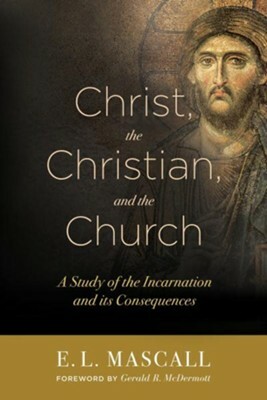 E. L. Mascall's Christ, the Christian, and the Church explores how the incarnation of the Son of God is the unifying principle of our lives through subjects such as eschatology, ecclesiology, pneumatology, ascetical and mystical theology, and more. 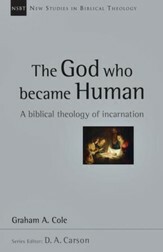 Instead of reinforcing the view that Christ's descent to earth was anthropocentric, Mascall explicates his point that it was in fact theocentric; man is woven "into the godhead" instead of "the godhead into flesh," and our actions as Christians are actions of Christ himself because of the unifying act of baptism. With an impressive facility for primary and secondary sources and an adamant commitment to God, Christ, the Christian, and the Church manages to be just as timely now as it was seventy years ago when it was initially published. Eric Lionel Mascall (1905-1993) was a leading theologian and priest in the Anglo-Catholic tradition of the Church of England. He was a philosophical exponent of the Thomist tradition and professor of historical theology at King's College London. Gerald R. McDermott is the Anglican Chair of Divinity, History, and Doctrine at Beeson Divinity School. I'm the author/artist and I want to review Christ, The Christian, and the Church: A Study of the Incarnation and Its Consequences.